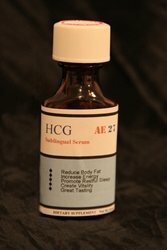 Easy way to order sublingual hcg kits to complete Dr. Simeon's weight loss protocol in 2 phases. Whether you are planning to use the kit for 21 days normal diet or 42 days diet it all depends of how many pounds you would like to lose within the said period. 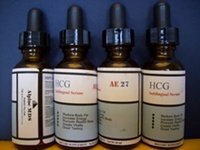 It is normal to use the HCG kit to lose an average of 1 pound per day if the 500 very low calorie diet requirement is pursued strictly. Although the average daily weight loss varies between women and men if you have good control on what you eat we assure you will reach your desired weight loss goal and achieve the figure of your dreams. The HCG diet is not for everyone. Requires commitment and rigorous discipline. We don't recommend to follow unless you have the right information. Once you understand all what it takes to follow the Dr. Simeon's protocol and, at the same time you visualize your potential results into the near future, then you will be on a secure path to successful physical changes. 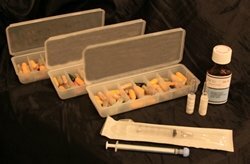 QLG, Inc. distribute several HCG kits for weight loss purposes only. When you submit your order before noon, it will be on shipping at the same day and you may receive it no later than 10-15 days. 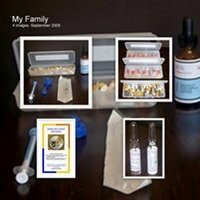 If you are interested to lose weight with Dr. Simeon's weight loss protocol you may order sublingual HCG kits from here.